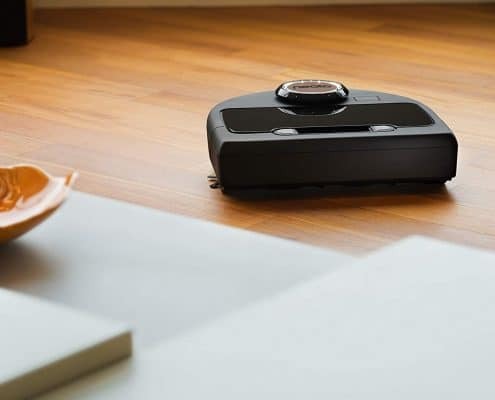 Instead of using a traditional vacuum and walking it around your carpet, hardwood floors, or other surfaces, you can buy a robot vacuum to clean your house. 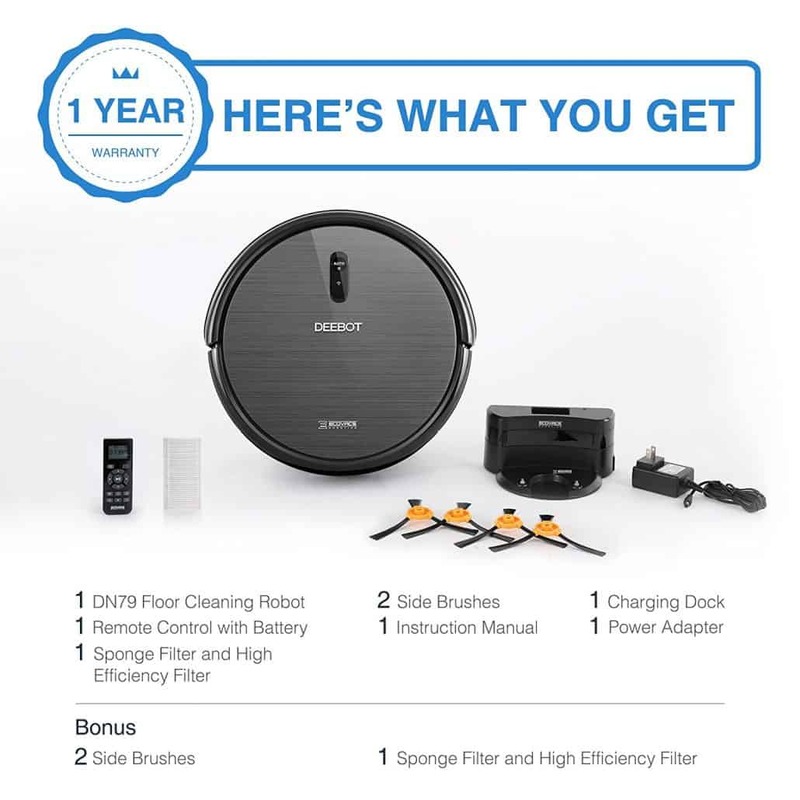 Robot vacuums come with many features and prices, and therefore you will need to figure out how much you want to spend and how it will be used before you choose one. If you live in a hardwood house, for instance, don’t think about buying a robot vacuum that specializes in carpeted floors. Simply put, buying the best root vacuum is not as easy as many think. 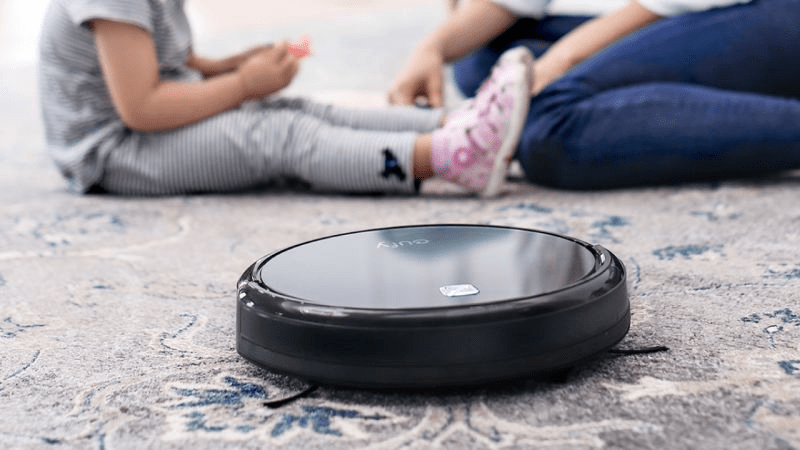 To help you purchase the best robot vacuum, we have compiled an exhaustive buying guide and reviewed the best ones on the market. 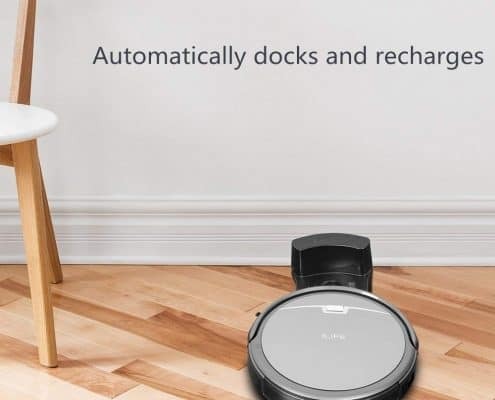 So what are the best Robot Vacuums this 2019 you ask? A robot vacuum does not suit everyone. The truth is, standard vacuums generally work better than robot as the latter doesn’t have a large canister for holding dirt. Also, they might not boast the same suction power traditional vacuums have and may get caught up on certain furniture in your house. However, higher-end models can, in some circumstance, clean better than traditional models because of having stronger suction power. Besides, they deliver great convenience; something you will not find in traditional vacuums. You don’t have to follow your robot around. Instead, you can be carrying out other productive task while it cleans the house. 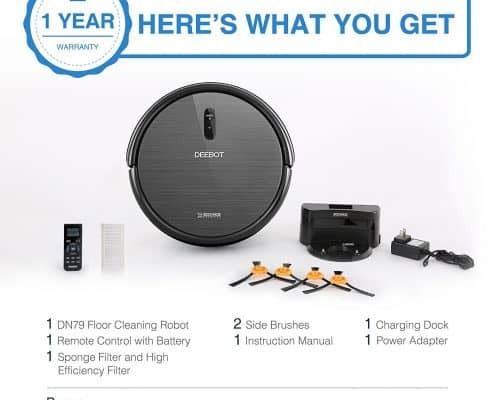 This makes robot vacuums worth their price. 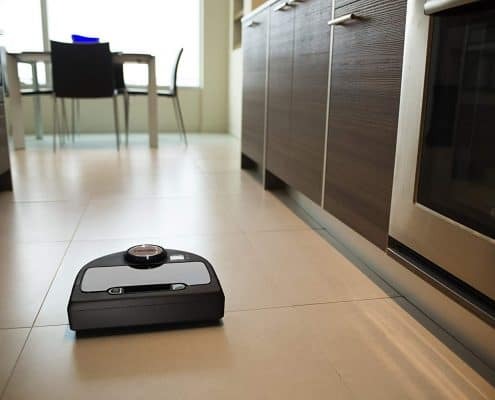 The following are some of the main factors you need to keep in mind when purchasing robot vacuums. 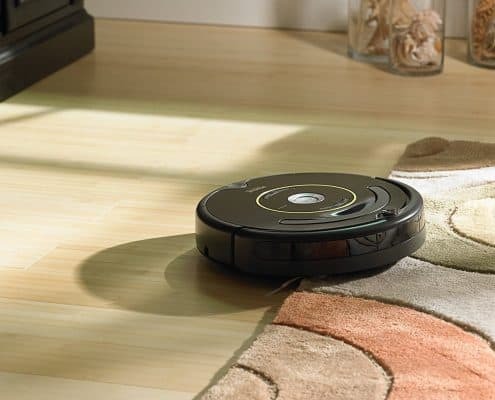 One of the main reason we buy robot vacuum is to help us save time. Right? However, robot vacuums require regular maintenance especially after some time of using them. The newer the robot, the lesser the maintenance it needs. Advancement in technology such as having filters, extractors, etc., lessen the load while improvements like automatic recharging have greatly reduced the amount of human interaction needed. However, even the latest robot vacuums do need attention now and then. You will need to empty the bin when full and clean the filters. Litter packs and other small parts also need to be replaced over time. The point here is that you need to have reasonable expectations when ordering robots. 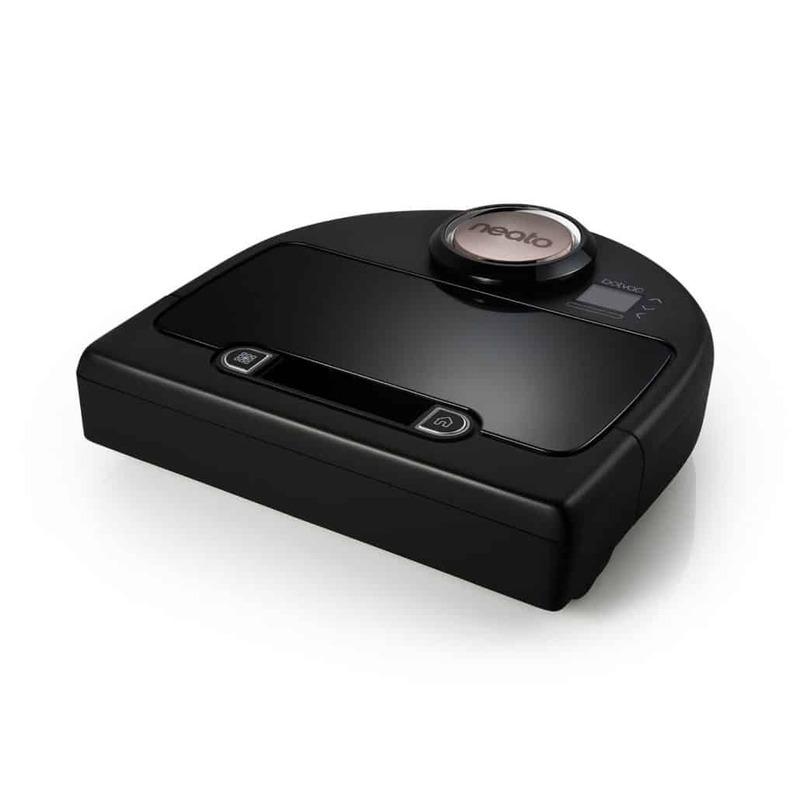 Ensure the robot vacuum you are buying has replacement parts that can be accessed easily. You will be on the safe side by buying from recognized brands. Replacing the parts is quite easy as there are many videos and tutorials online. 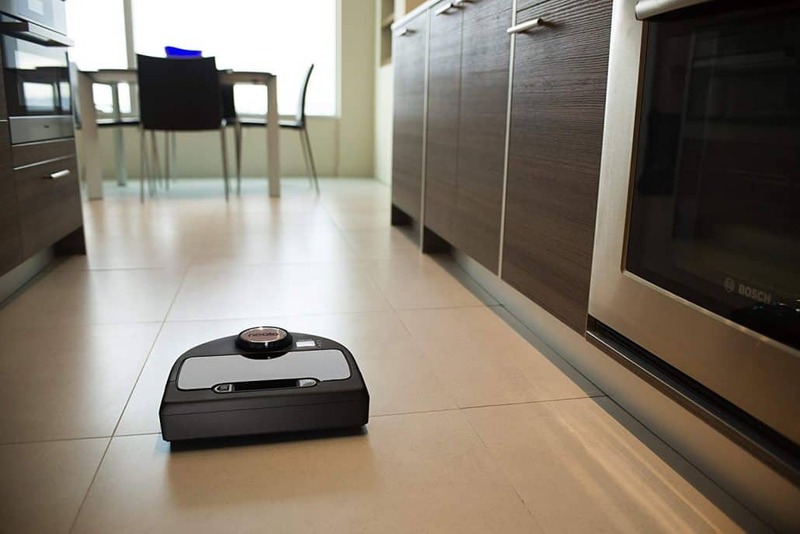 Robot vacuums run on rechargeable batteries. 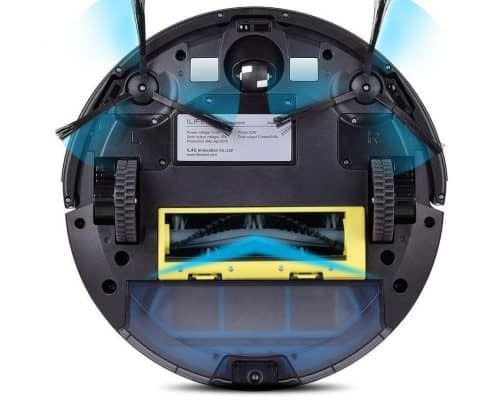 Because of this, it is important to judge the quality of a robot vacuum with the battery capacity it has. A decent robot will have a minimum run-time of about one hour, after which it will return to its base, or be manually returned to its base by the owner for recharge. Most of the latest robots have the ability to “return to their charging base” when their battery is low. There are some which can even return to the base, recharge, and resume duties from where they left off. As with every other product, the higher-end products will have these functionalities and longer battery life. As you move downwards, things start changing. 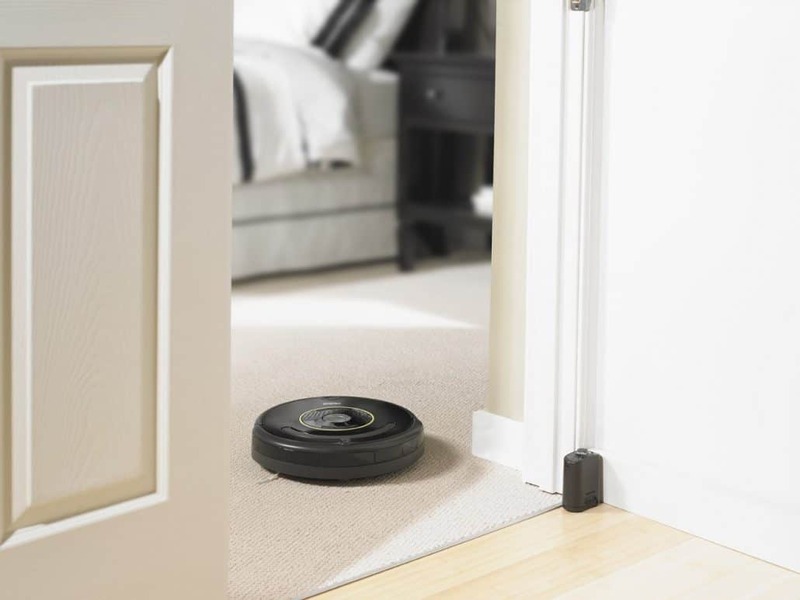 For most robot vacuums, it is as easy as pushing the START button and letting it work. However, for advanced robots, they have auto-scheduling features. Once you set your robot’s schedule and input the specific time it needs to start working, it will automatically run. This comes in handy if you don’t have time to clean your flooring or are often out of the house. Newer models have more scheduling and convenience features. Some even have mobile apps to allow you control them remotely. This is an obvious factor and perhaps the most important feature. 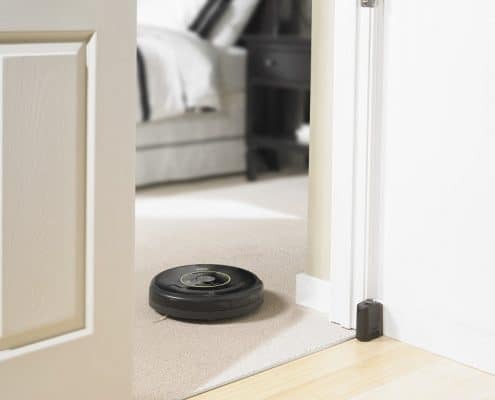 How well does the robot vacuum clean? 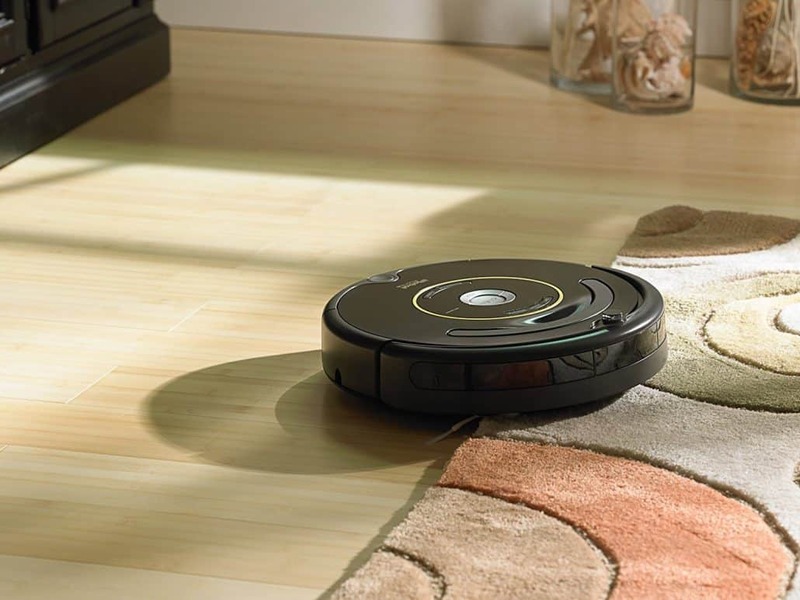 High-end robots come very close to the cleaning power of a normal vacuum operated by a human. The low-end models are only meant for light maintenance cleaning. You will still have to do vacuuming with a traditional vacuum cleaner once in a while; so don’t throw away your old vacuum. At the mid-range, you have robots capable of cleaning well but sometimes struggle with corners and certain places. The most important thing is to be clear about your objectives. Don’t just consider the price, think about your time saved when not manually vacuuming. 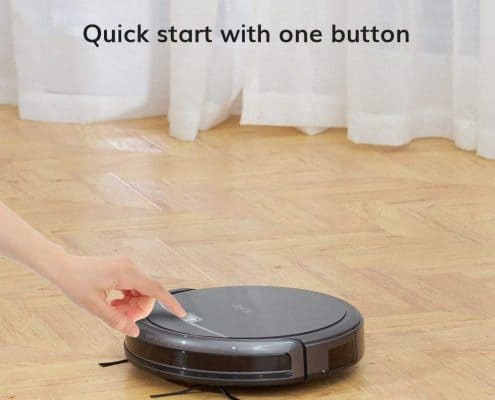 Sometimes, it is better to squeeze your budget a bit further to have the best robot vacuum. 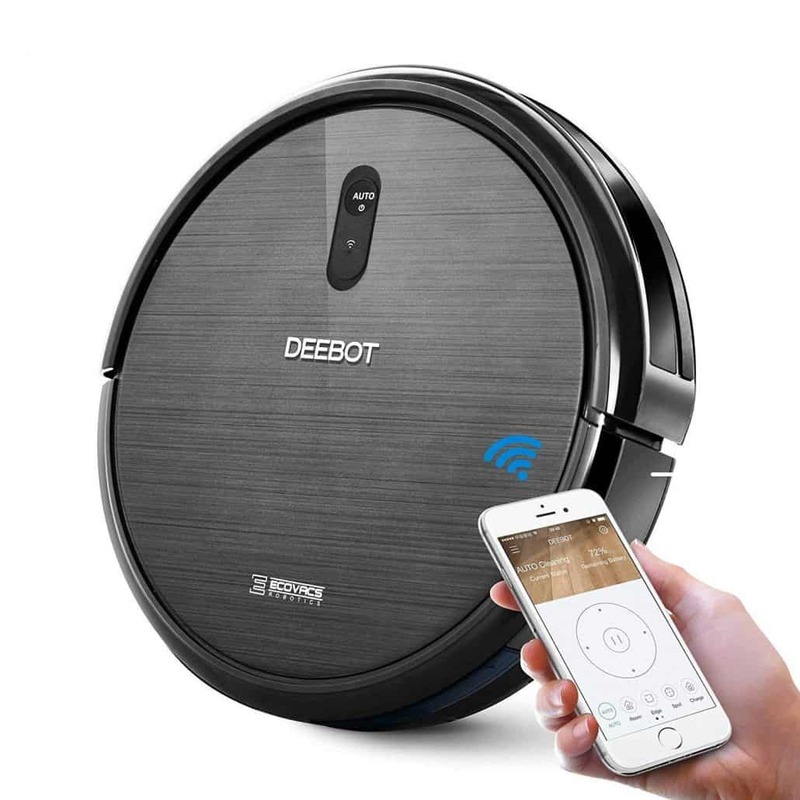 If you have a large house, then it is good to go for a robot with longer battery life, larger dustbins, better navigation, and automatic recharging. 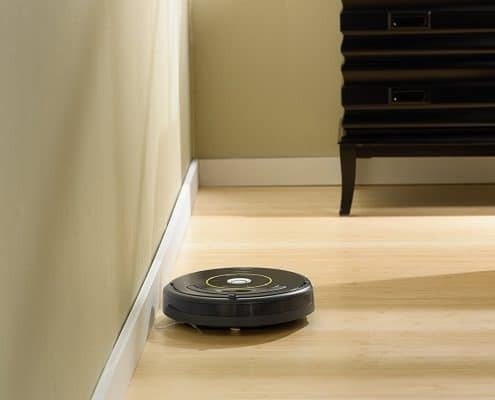 Ensure to check the battery life of a robot and its ability to maneuver around the corners and stairs of the house. Unfortunately, you have to empty the dustbins manually. 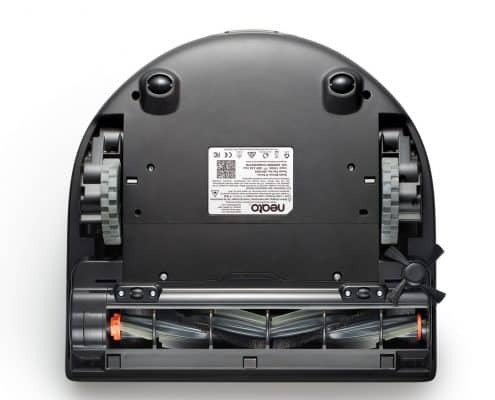 Robot manufacturers are yet to figure out a cost-effective way of building a self-emptying dustbin for a robot vacuum. As such, you will need to look at how large a specific robot bin is before buying. For large apartments and houses, or houses with a lot of dander and dirt, you may need to empty the dustbin after every cycle. Different robot vacuums have different dustbin sizes; therefore, choose the best for your house. Price. 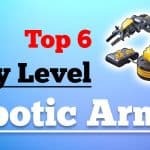 Keep in mind that more expensive units are always the best. Make your decision based on your cleaning needs rather than price. Wi-Fi control; to make your life easier, you can check this feature as well. 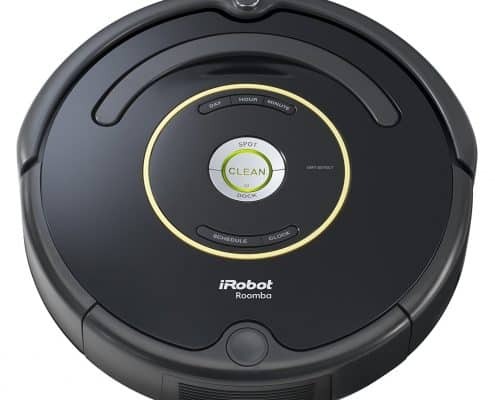 Here Are The: Top 5 Robot Vacuums At The Right Price! 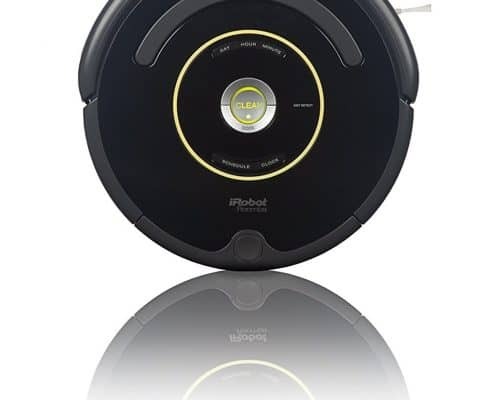 For people with pets, the iRobot 650 Robot Vacuum is perfect for you. 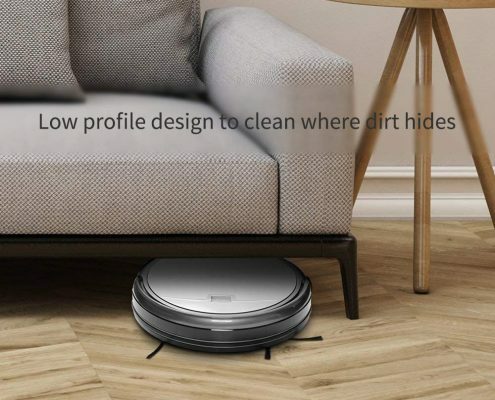 This robot vacuum cleaner is specifically designed for helping with removing pet dander and hair. Other vacuum cleaners in its category can get clogged by pet hair, but this one can’t. 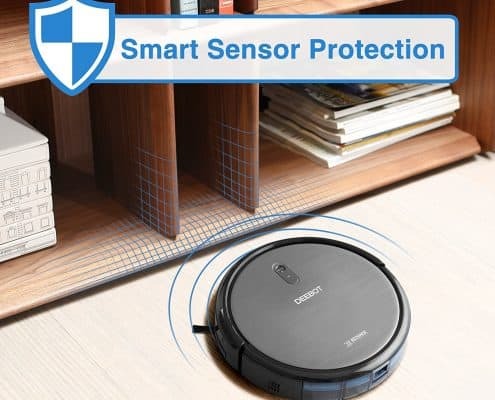 It has a special design with powerful suction and brushes thereby offering a winning combination that makes a huge difference when it comes to cleaning your flooring. 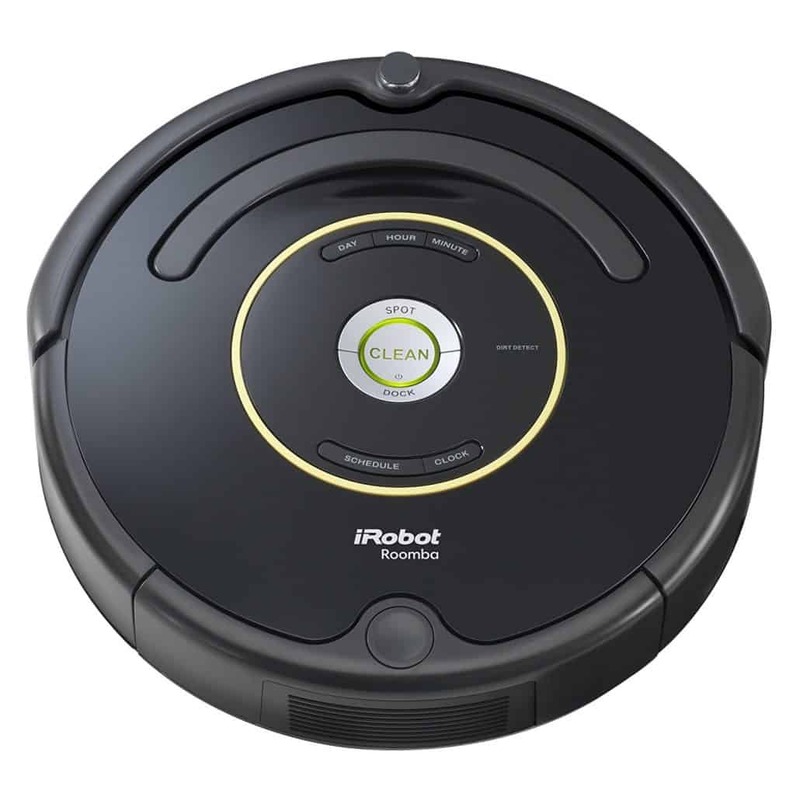 While iRobot Roomba 650 is an older model in the Roomba series, it was designed specifically for pet owners. 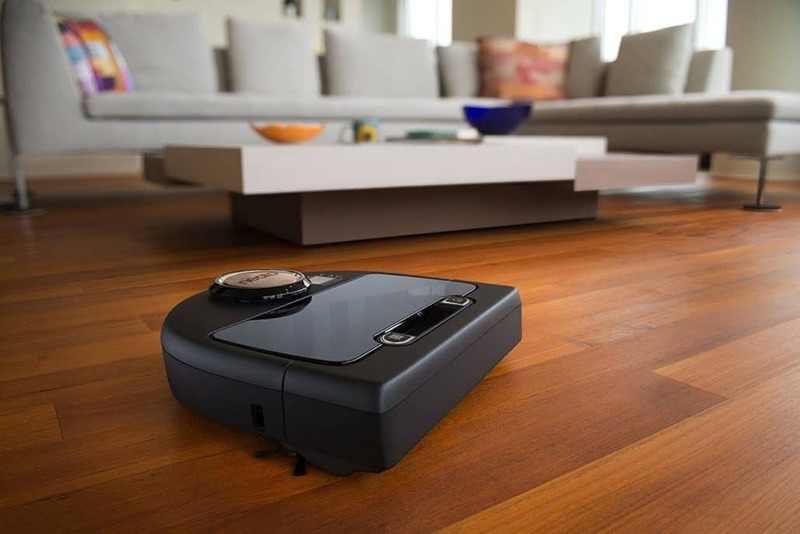 This robot vacuum is designed to clean hardwood, carpets, laminate, and tile floors. You can schedule up to seven pre-set cleanings. This robot also has on-the-spot cleaning feature that is activated with a push of a button. 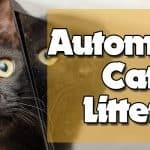 In addition to this robot, this device comes with battery charger, a self-charging base, an auto virtual wall for setting off-limit areas, and extra AeroVac filter.ishes counting down and a special sifting system separate the cat waste from the clean litter. The waste is disposed of in a drawer that has a carbon filter. 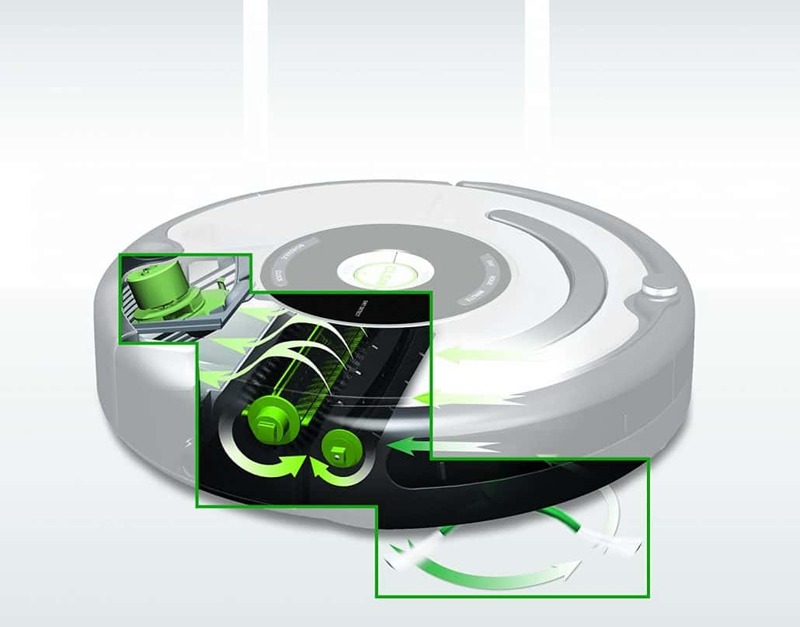 The Roomba 650 features a 3-stage cleaning system. 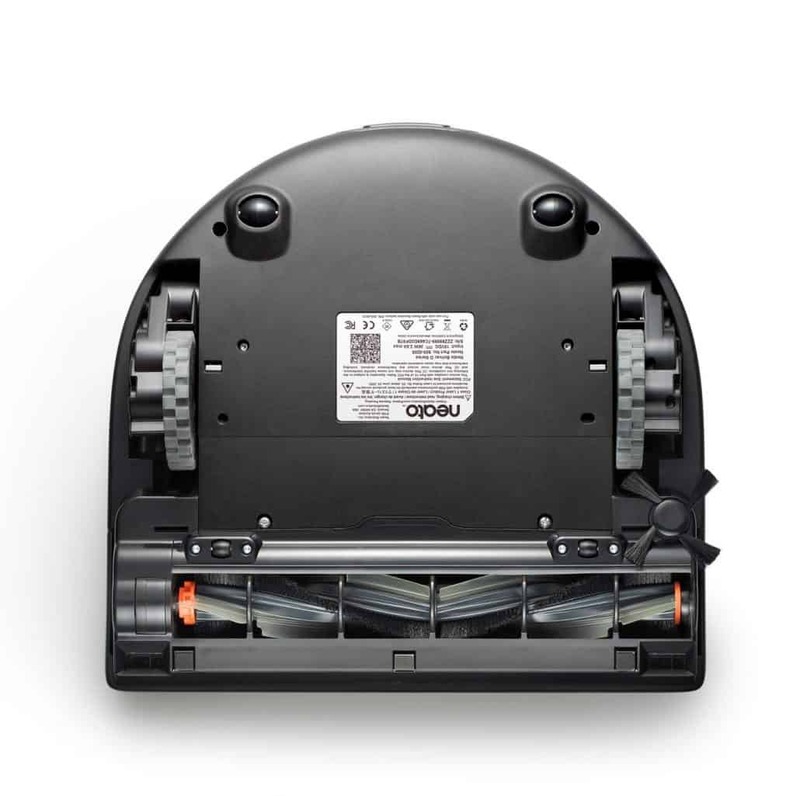 This enables it to pick up pet hair, dirt, and debris that most robotic vacuums leave behind. The stages work by loosening the debris, using powerful suction to remove them, and ensuring every area is clean before moving on to the next. Comes with advanced sensors that are able to target dirtier areas. As a result, they spend more time and will leave only when every bit of dirt is cleaned. Every area of the flooring gets cleaned, so you are not going to have to clean up missed locations. 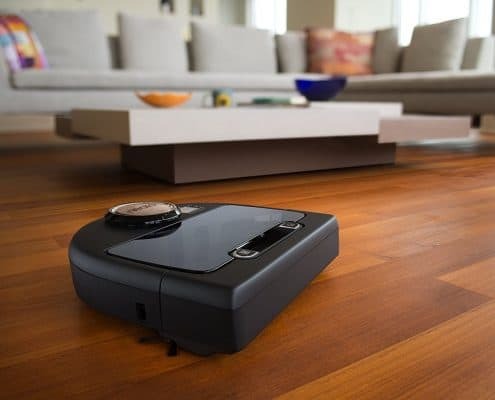 Since this robot spends more time on dirtier areas, this ensures your flooring will be uniformly cleaned. You can select spot cleaning button to clean the area you have selected. 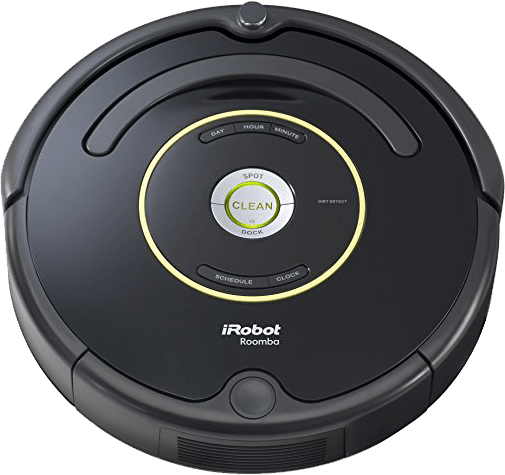 Also, iRobot 650 Robot Vacuum has an auto-schedule feature that allows you to schedule your device for up to seven cleaning sessions. It is easy to program the date and time for cleaning; the process is not complex or intimidating. 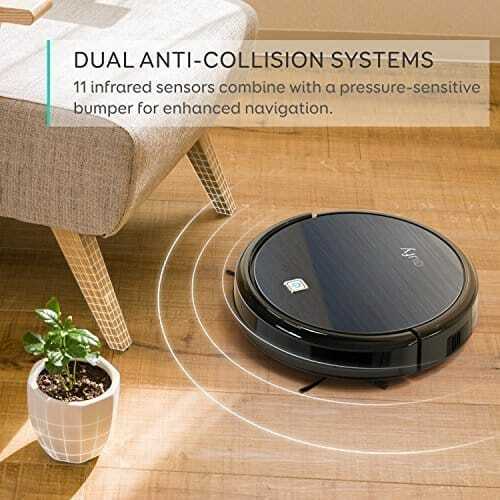 There are no complicated settings or buttons that can bring confusion when operating this robot vacuum. Instead, it has a large button on the top side for cleaning. When it turns green, it indicates that it’s ready to start cleaning. When it’s yellow, it shows that the battery is getting low while red means the battery is dead. Best Robot Vacuum 2018“Has a return to base feature. The dock button on this device can be pressed to get it return to its base, where it will be stored and recharged. 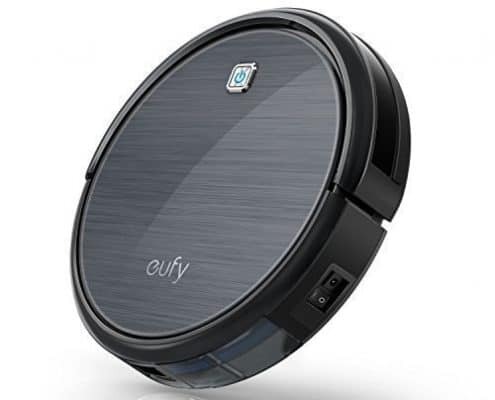 The Eufy RoboVac 11 has a powerful suction capability and can recharge itself when its battery gets drained. 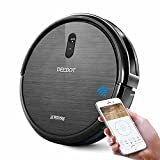 If you have pets, then this robotic vacuum is an ideal option for you as it has a HEPA filter that can clean your home thereby eliminating pet hair and allergens. It is great for virtually all types of flooring such as low pile carpeting and hardwood floors. 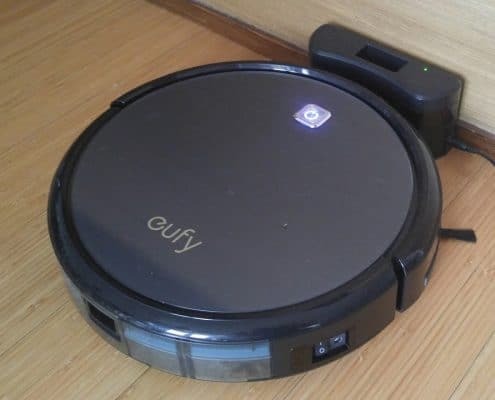 Although most robot vacuums are not good for dark-colored floors and thicker carpets, the Eufy RoboVac 11 does a great job as it comes with three cleaning systems including roll brush, strong suction, and side brush that enable it to do a good job. 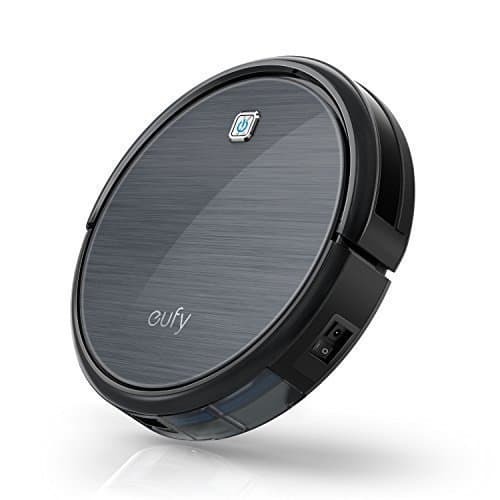 Eufy RoboVac 11 offer five separate cleaning settings including spot cleaning, auto cleaning, edge cleaning, max cleaning, and single-room cleaning. 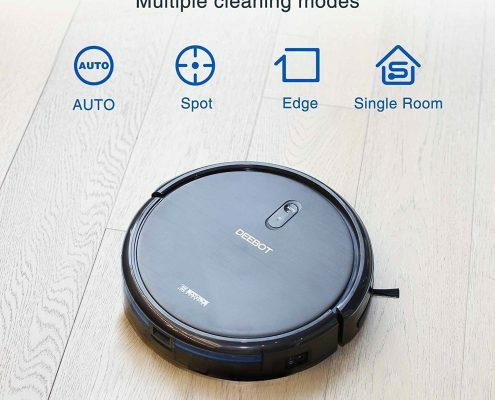 The auto setting enables this device to move around freely while small room, spot, and edge features are meant to clean the areas they represent. For instance, edge setup is meant to focus on the edges of your house. 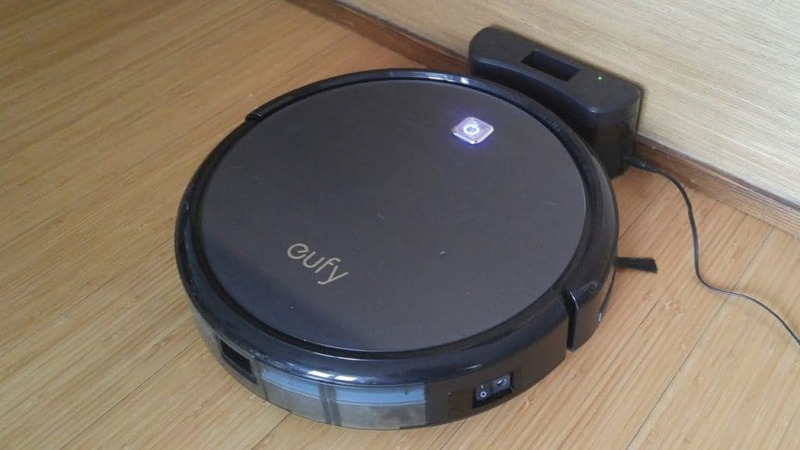 One element of why Eufy RoboVac 11 is the best robotic vacuum is its 3-point vacuuming system. The main aspect of the 3-point method is the RoboVac’s 1000Pa suction that is enhanced by rolling and side brushes. The result is a vacuuming system that is capable of doing a comprehensive task of cleaning any floor type. 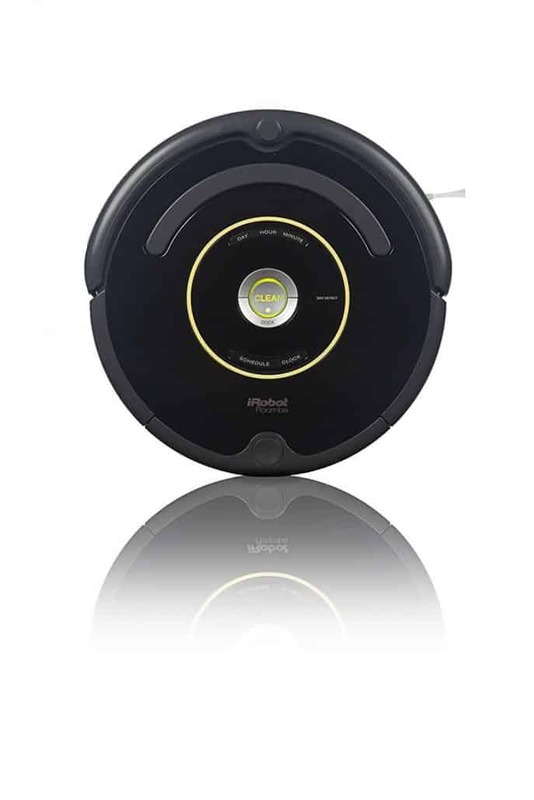 This robotic vacuum cleaner also features smart sensors which enable it to operate at an advanced level. 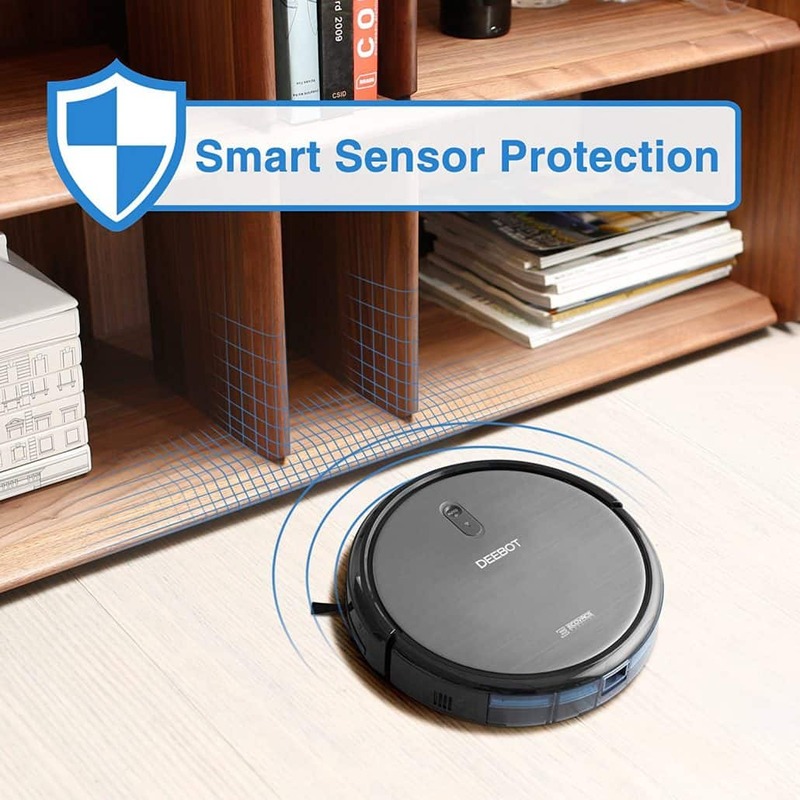 Drop sensors prevent Eufy RoboVac 11 from falling while obstacle sensors protect against moving into furniture and toys. 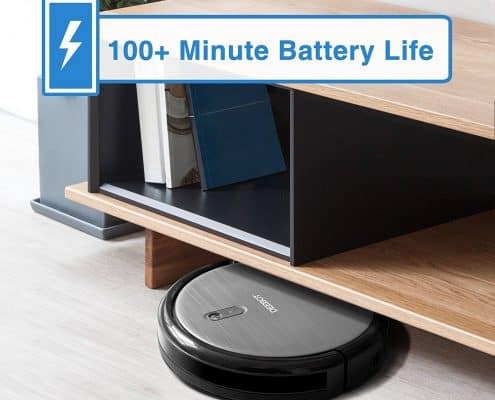 This vacuum cleaner is powered by a high-capacity Lithium-ion battery which enables it to run for one hour and 30 minutes. 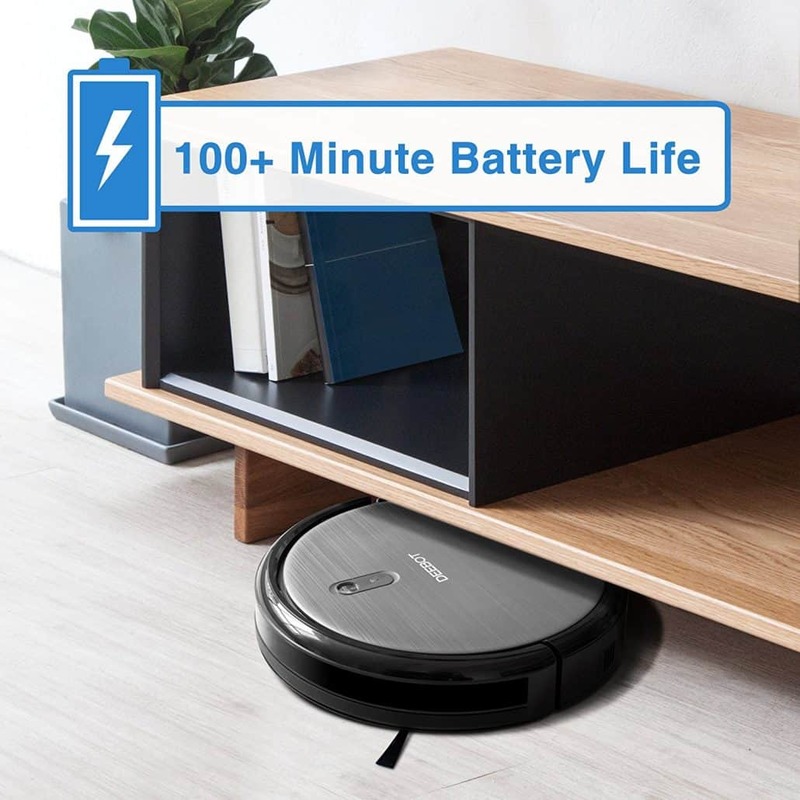 When it runs out of power, this robot vacuum instantly returns to its charging base for recharge. It also has a multi-filter filtering system which is more thorough as compared to other filtrations system seen on many popular traditional vacuum cleaners. 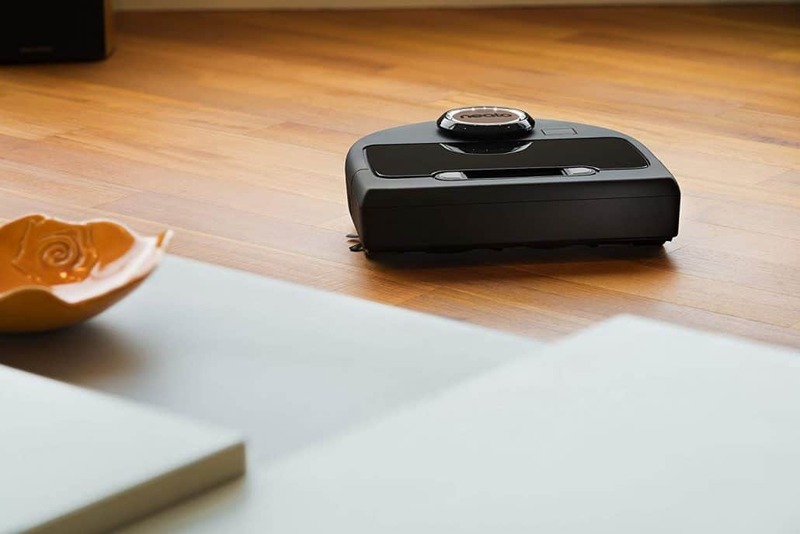 The primary screen filters large objects like crumbs while foam filters catch dust particles thereby preventing them from escaping the RoboVac’s clutches. A HEPA-like filter catches pet dander, mold spores, and other common allergens. This enables it to take a multi-tined approach to eliminating allergens at home. 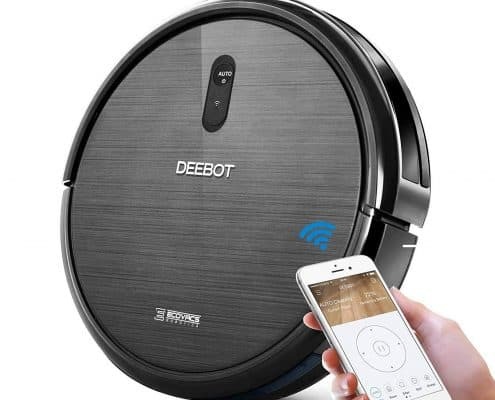 If you are looking a durable and effective robot vacuuming device, the ECOVACS DEEBOT N79 has great features to make cleaning your home enjoyable, rather than a chore. 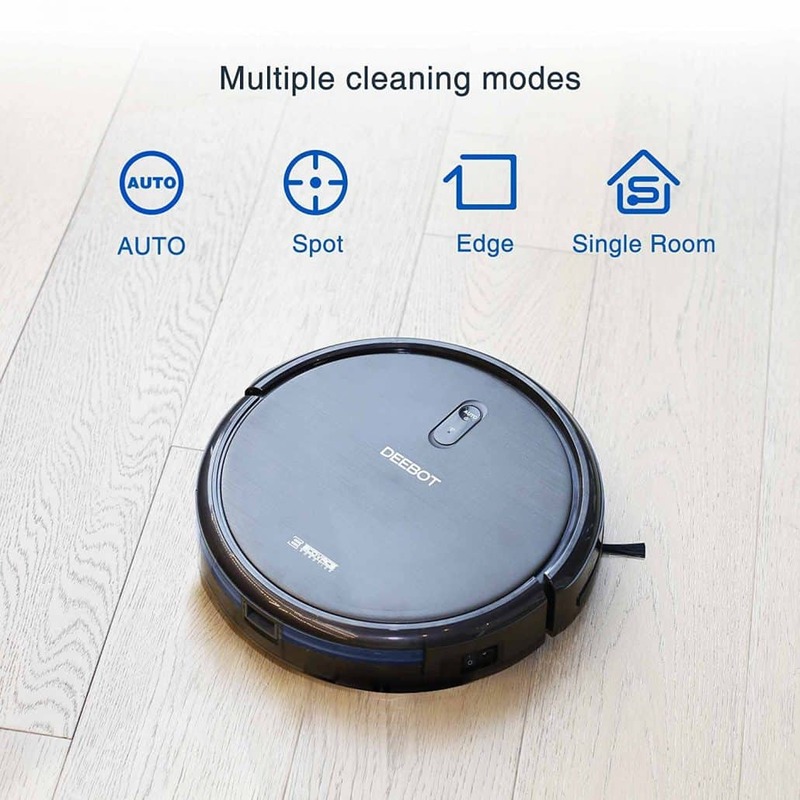 The robot vacuum features several cleaning settings that enable it clean hard-to-reach areas more effectively. 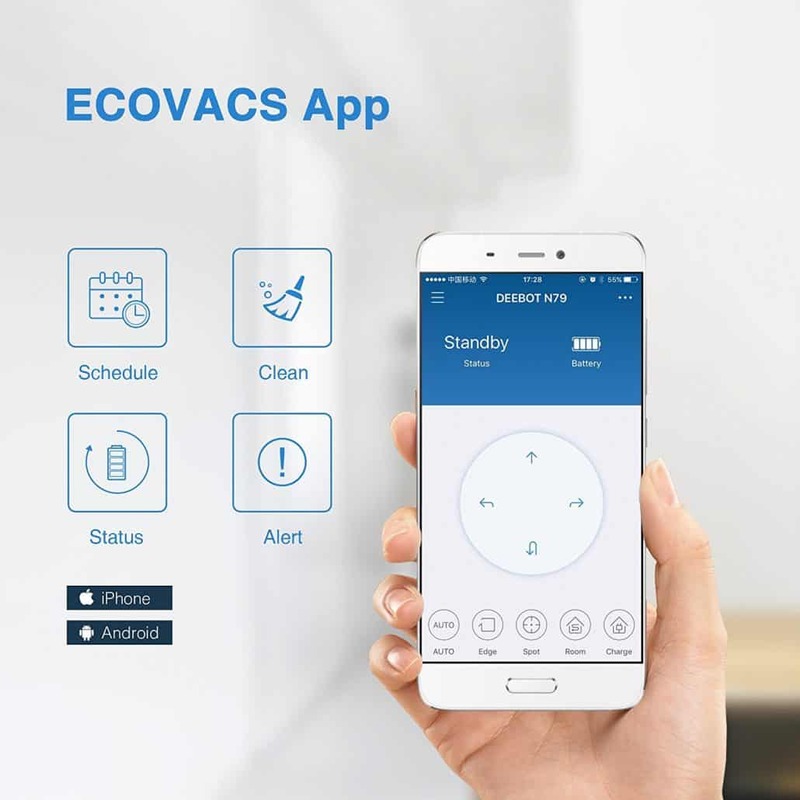 In addition, you can operate it using a tablet or smartphone via the Ecovacs app on iOS and Android devices, or even using a remote control. 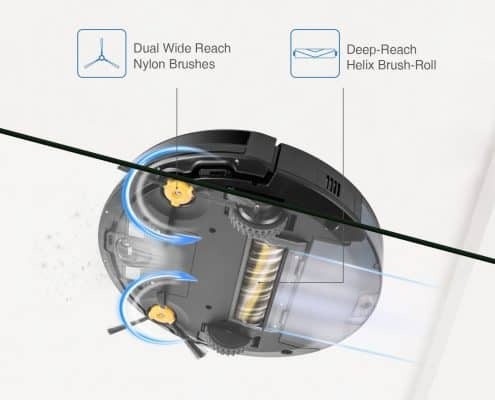 This device also features unique V-shaped brushes, which ensures deeper debris collection, certainly improving its vacuuming ability. 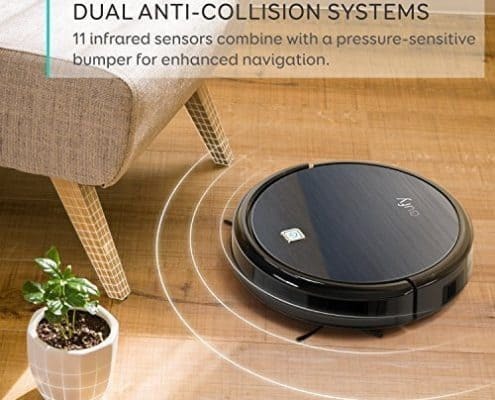 If you have mobility issues or physical ailments, this robotic vacuum from ECOVACS is just what you need. Not only will it improve your cleaning schedule, but also will help you carry out your cleaning tasks without putting a strain on you or your situation. All you need to do is to turn it on and let it do the magic. This robot cleaner is packed with a host of sensors to allow it clean independently. 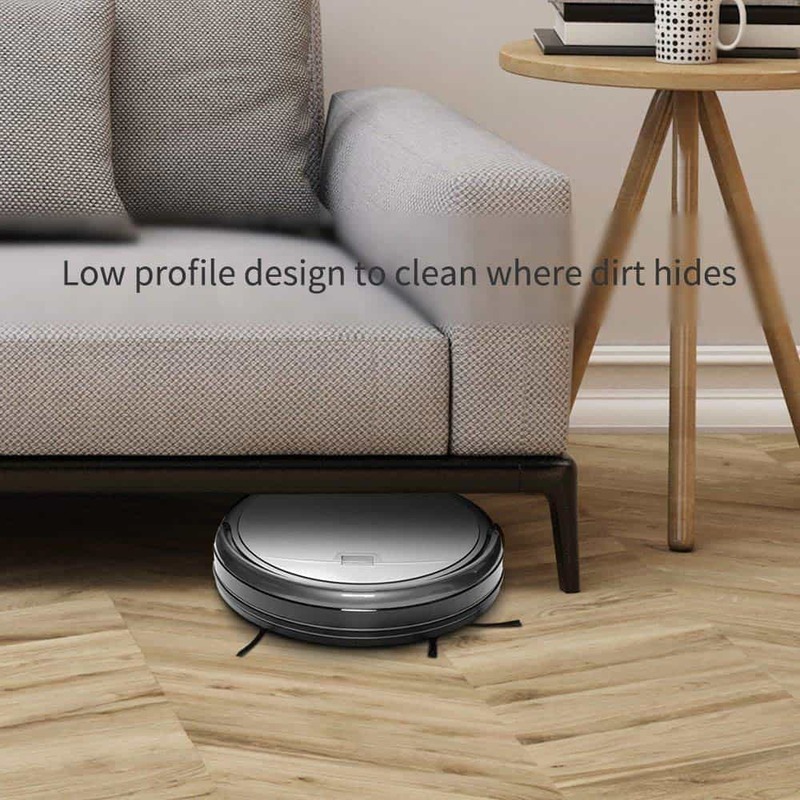 Unlike upright and canister vacuums, this high-tech robot cleaner can be controlled via the included remote control or a simple smartphone application; so you will not have a heavy job of pushing your cleaner all around your home. This makes it a great option for people with joint pains and those who want to make their cleaning work easier. With auto cleaning mode, you can make the robot clean in a straight line, and it only changes its direction when it encounters an obstacle. Spot cleaning mode enables it to clean a single area with a concentration of dirt and dust. 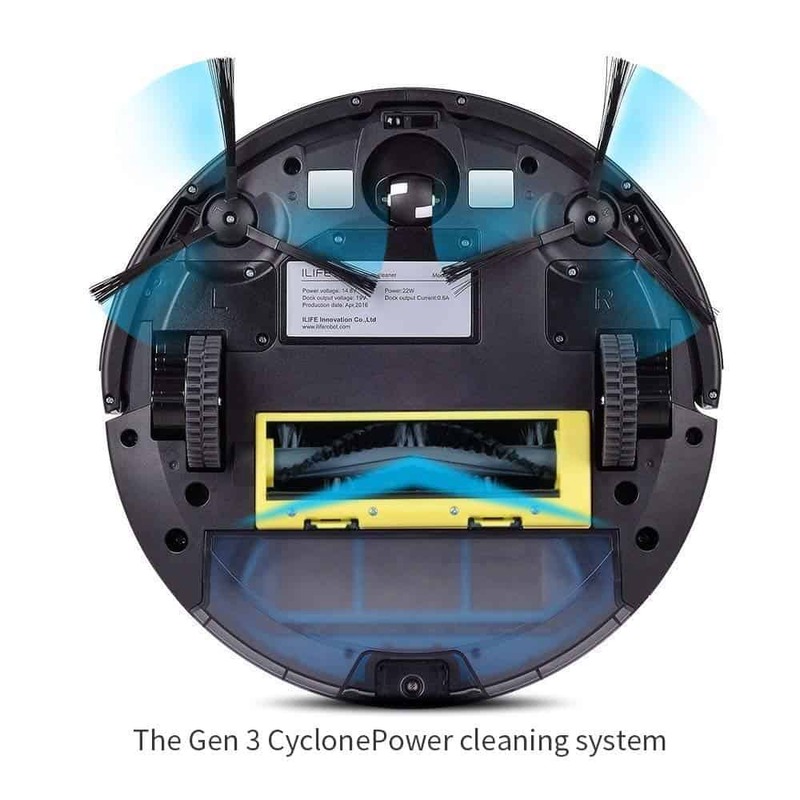 This robot also has other cleaning modes you can choose from. For instance, edge cleaning mode helps remove dirt and dust stuck in the corners and edges of a room. 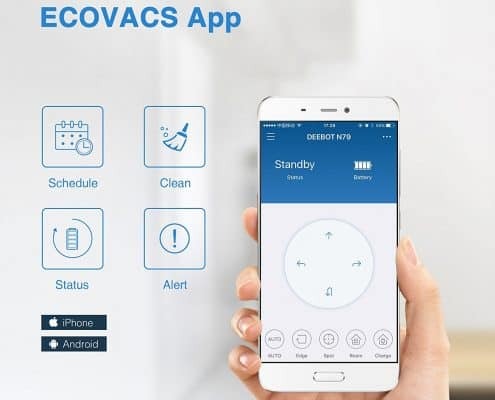 Besides, ECOVACS DEEBOT N79 has Smart Motion technology that allows it to clean a high-traffic room through a repetitive cleaning path thoroughly. Since this robot cleaner can recharge itself, you don’t need to worry about taking it back for a recharge. Once the bot runs out of battery or completes its commanded task, it immediately goes back to its docking station. You can also command it to navigate back “home” via a mobile app or its remote control. 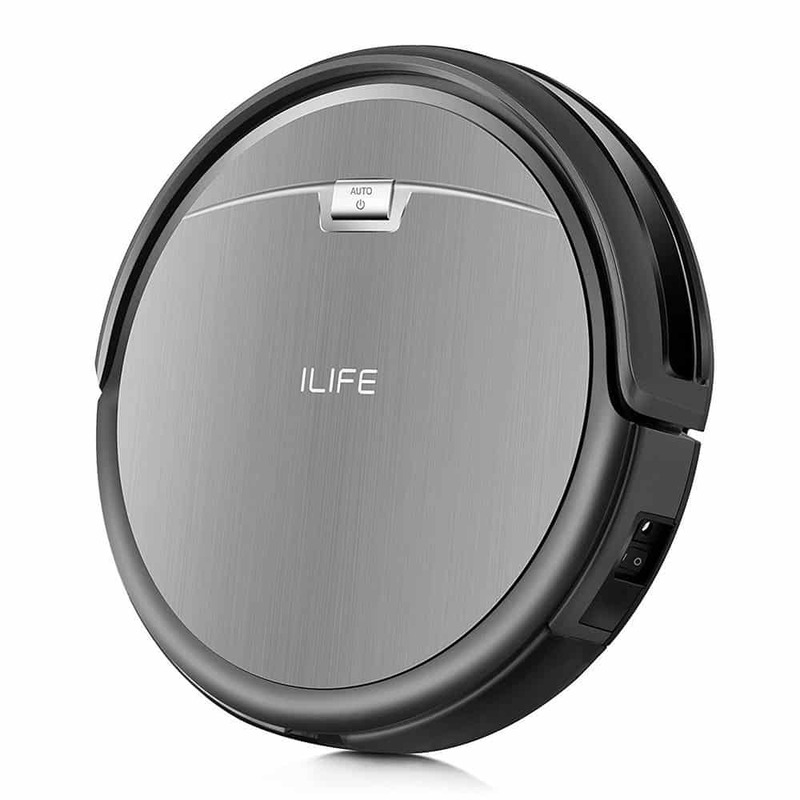 The ILIFE A4s Robot Vacuum comes with a 3-step cleaning method that ensures all the dirt embedded in your carpet flooring will be taken out. Its electrical motor can pick up dirt effectively and conveniently. 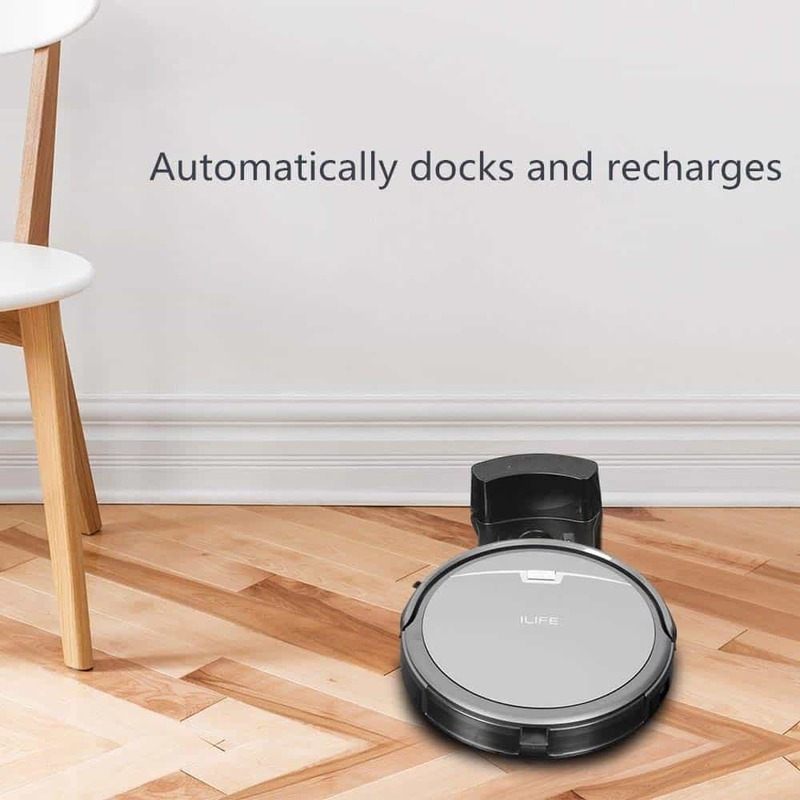 A great feature on this robot, which is not normally available with other robots in its price range, is its ability to return back to its docking station when its battery run low. 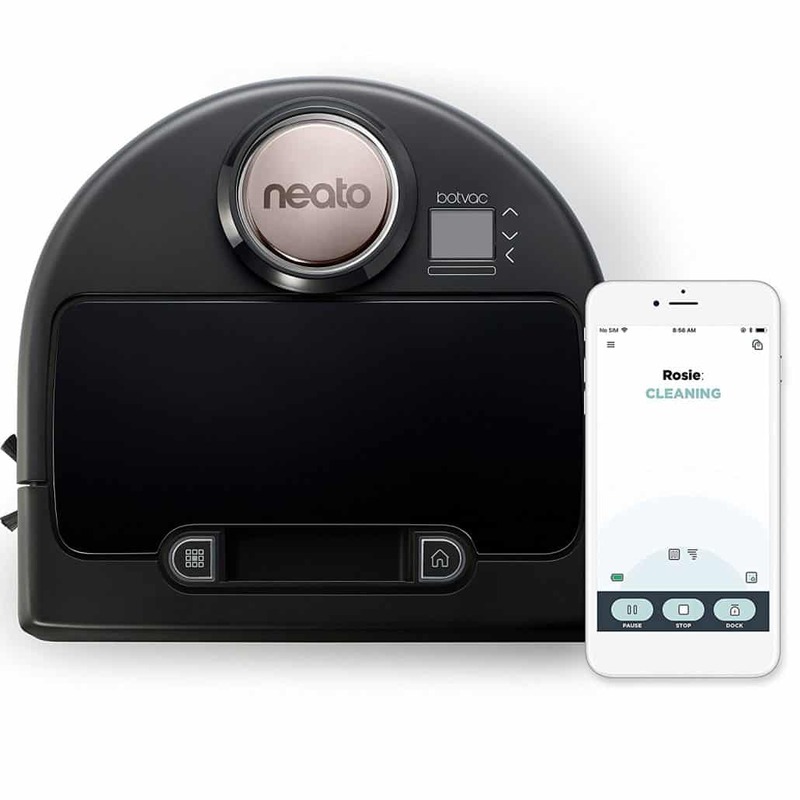 It also allows you to schedule cleaning tasks thanks to its auto-scheduling feature which you can activate via the included remote control. 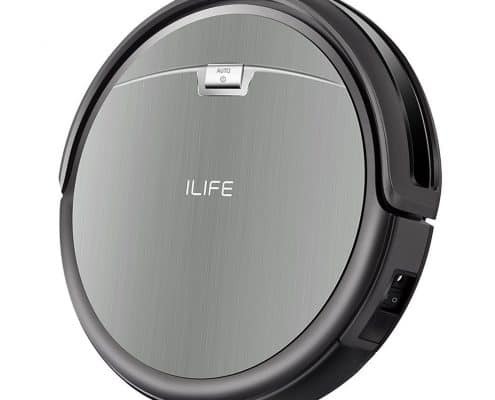 The ILIFE A4s Robot Vacuum has a low-profile body meaning it can fit under beds, sofas, and chairs easily. By using its advanced sensors, this device will avoid staircases and obstacles like a pro. The bot has a run time of two hours before it needs a recharge. Although it is a bit cheaper than most robot vacuum on this list, ILIFE A4s has high-end features and functionalities. 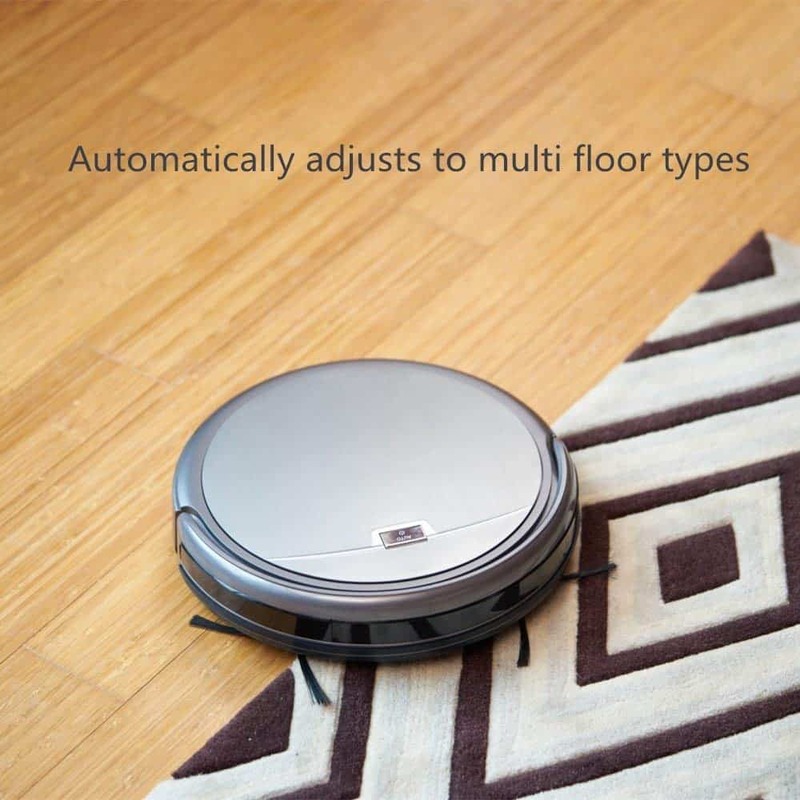 This unit does a great job cleaning your flooring; after all, that’s the most important function of a robot vacuum. 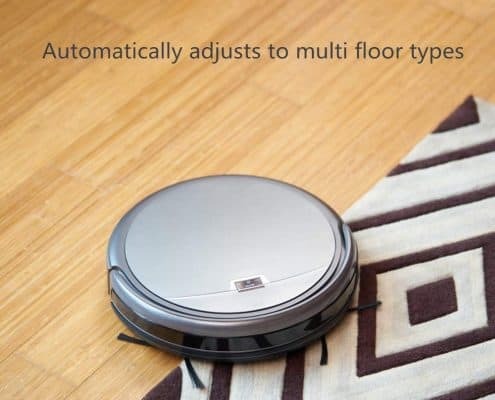 The unit runs quietly but when on higher max settings, you will notice it vacuuming your floors. When in this vacuuming setting, the unit will have enhanced sucking capabilities thereby enabling it to deliver optimal performance. 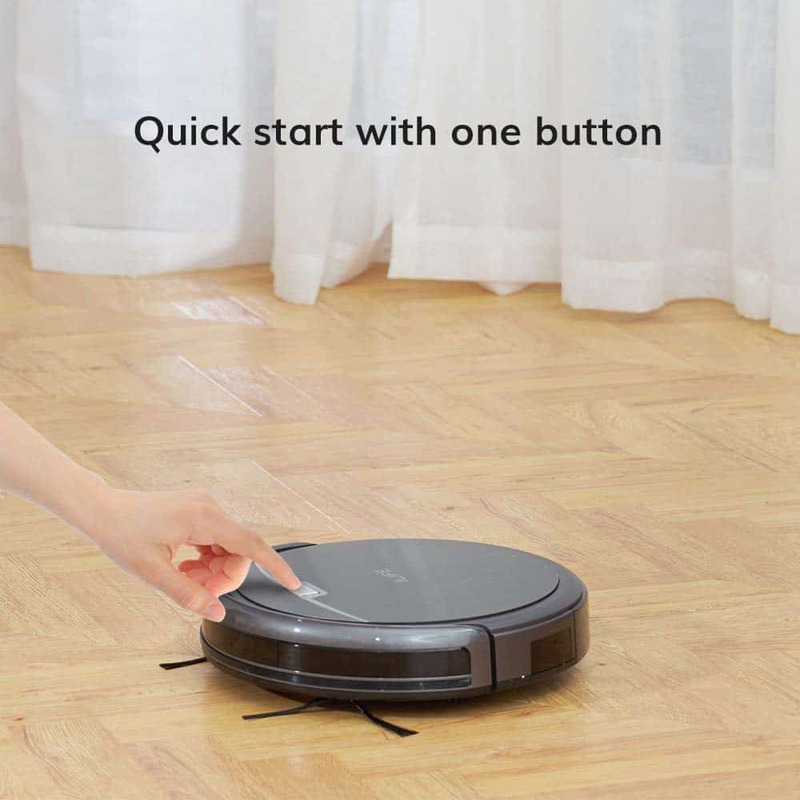 It is easy to use as you just need to push the “clean” button and it will begin working on your floors. Make sure to empty its bin from time to time and ensure there is nothing stuck under the body. 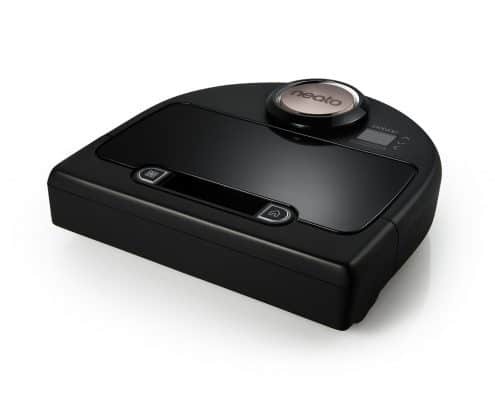 Botvac Robot Vacuum not only does a thorough cleaning job, but it also tracks around your home steadily. 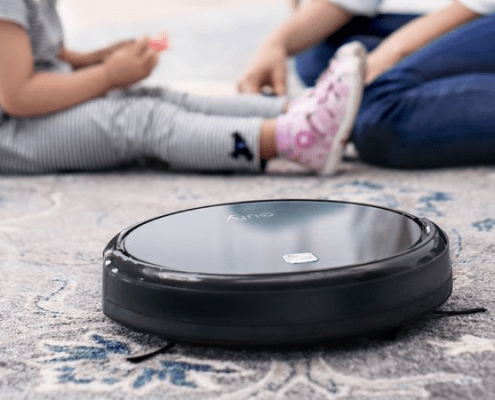 It might not be from a well-known brand such as iRobot Roomba, but it is one of the best robot vacuum cleaners on the market. You can operate it using your smartphone via a companion app. 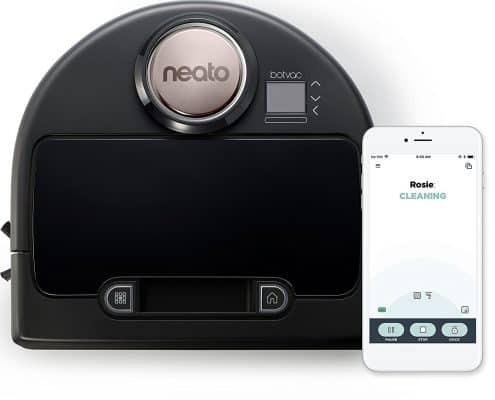 It is Wi-Fi enabled, and you can start/stop for spot cleaning, set a schedule, and get reports on your phone via the Neato app. The app works on Android and iOS devices. This robot cleaner has a D-shaped design that allows it to better when cleaning corners and edges. The circular design of most robot vacuums is an inherent design weakness. Neato advertises that this device has better airflow, and thus can collect more dust flow than its competitors in its category. Another hallmark of this robot vacuum is that it uses a methodical approach to segment and clean rooms with a straight forth and linear back pattern. 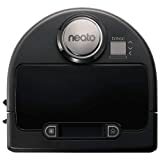 For people who would prefer a device with a methodical cleaning approach, then Neato Botvac Robot Vacuum is the best option. Also, it has Eco and Turbo mode. Eco is ideal for maintenance cleaning and conserves the battery power while Turbo is great for fast, deep cleaning runs. For night cleans, Eco is the ideal cleaning mode as it is less noisy. These cleaning modes offer added control to help you customize cleaning schedules based on your floor plan and needs.